France is a country that knows sophistication and style and even in the highest reaches of the Alps you can find luxury. After all, the word “chic” is French and and they certainly apply it to their ski resorts, some of which are the most exclusive in the world. 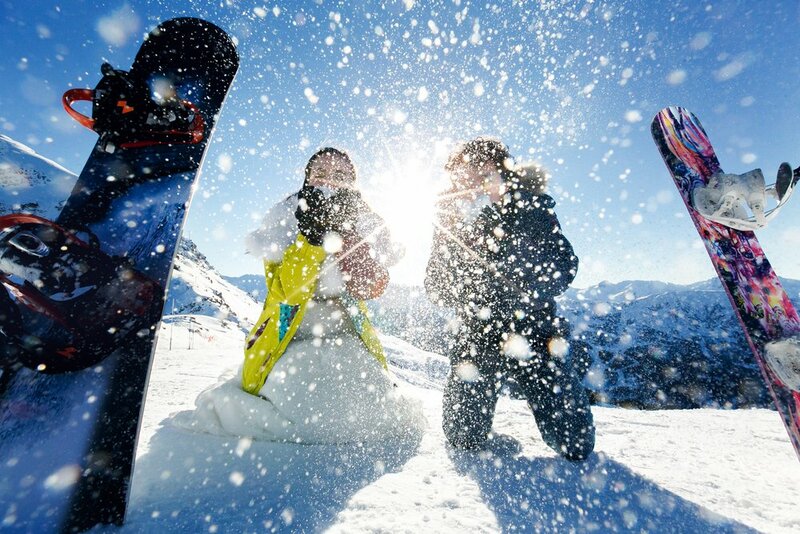 Top class skiing, five-star accommodation, Michelin restaurants and mesmerising scenery await you in the French Alps. 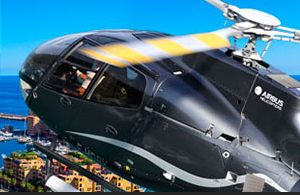 Of course, you’ll want to arrive in style, so a luxury helicopter transfer is a convenient and fun way to arrive at the French resort or village of your choice. Here’s a selection of our favourite luxury resorts in the French Alps. Courchevel’s location in the heart of the Trois Vallées ensures excellent skiing conditions and some beautiful scenery. However, what this resort is really known for is luxury; the type of luxury that draws royalty and famous faces like a magnet. Courchevel 1850 is the highest in a chain of four resorts that make up the resort, and the ‘1850’ refers to its altitude, but the higher one goes the more luxurious it gets. 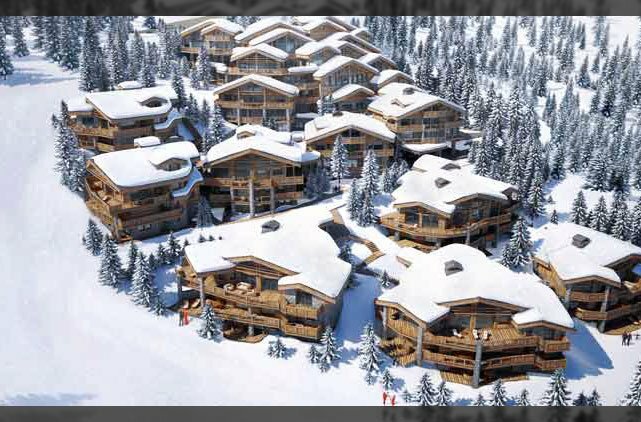 Courchevel 1850 is the the most expensive ski resort in the world and this is embodied by Les Suites de la Potiniere, the most expensive alpine hotel in the world. 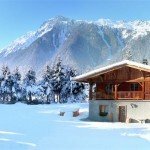 However, all the accommodation from private chalets to hotels exude top-level luxury, particularly in the Jardin Alpin area which is home to two of the finest hotels in France. The Cheval Blanc and Les Airelles have earned the prestigious Palaces rating meaning they have a rare 6 stars. There are also five Michelin restaurants with 2 stars and three with one star, including Le 1947 and Le Kintessence. 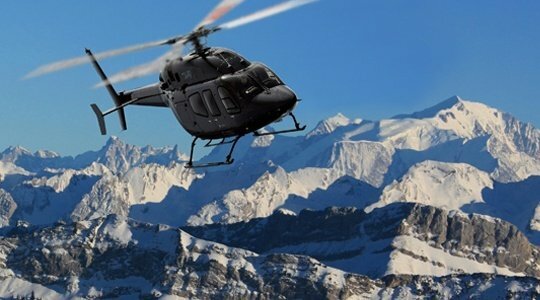 The resort can take a long time to access by road, but fortunately Courchevel’s famous altiport receives luxury helicopter transfers and has even featured in a Bond film. Visiting Megève’s snow-filled streets is like stepping back in time and finding yourself in fairy tale village. It is one of France’s most beautiful ski resorts and has a history dating back to Medieval times, with a 13th-century church tower still taking pride of place in its traffic-free square. The main mode of transport on the narrow cobblestone streets is horse-drawn carriage, which lends the village a romantic atmosphere. 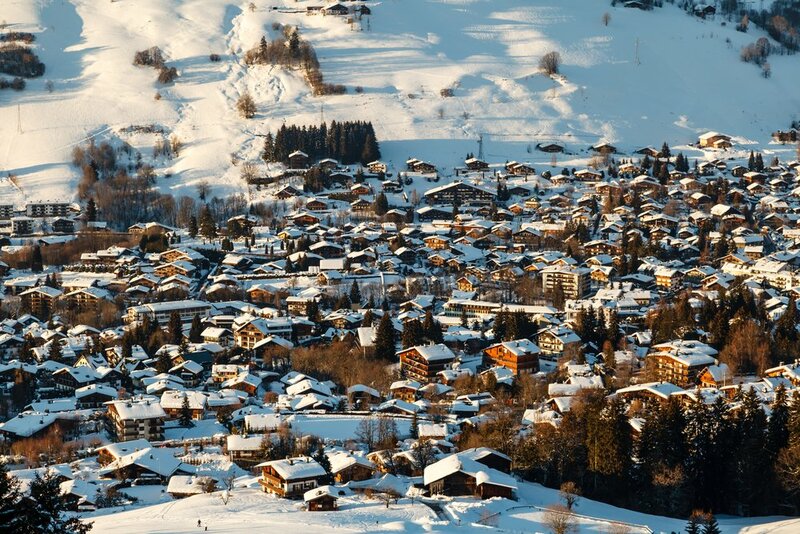 Megève exudes pure class and has done since the Rothschild family put the resort on the international map as the first purpose-built resort in the Alps in the early 1900s. It has attracted aristocracy and and wealthy investors ever since. 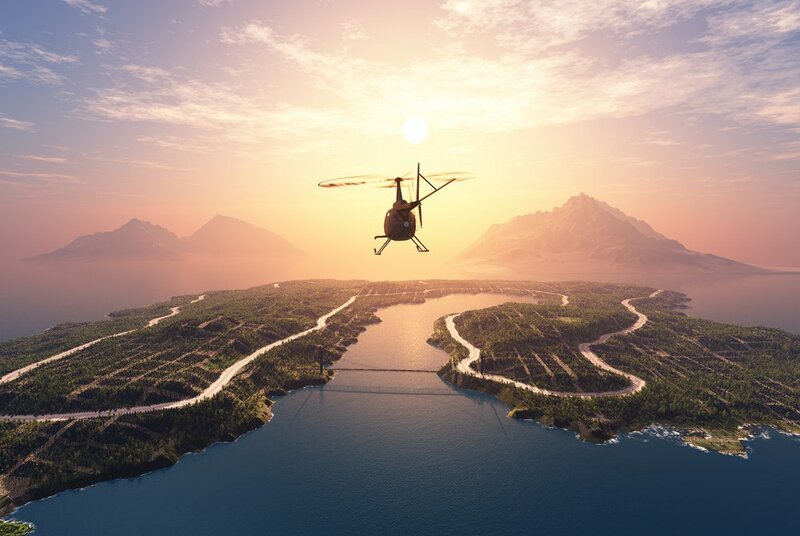 High fashion boutiques, fabulous haute cuisine and luxury chalets that are in a league of their own have ensured it remains a favourite with the wealthy elite. Of course, it helps that the snow conditions are fantastic since the village is under the shadow of Mont Blanc and has lots of runs for all abilities. But with so many great antique shops, spas, a casino, and activities like the open-air ice rink, skiing might become an afterthought! Val d’Isere is a sophisticated destination for serious skiers and those who enjoy a lively apres-ski scene. 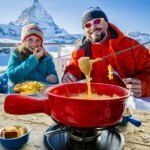 Its high-end accommodation attracts a well-heeled clientele and its fantastic ski schools, practice lifts and beginner slopes make it popular with families too. Ideally located in the famous Espace Killy with 300km of groomed pistes, it boasts a fantastic snow record and some outstanding skiing opportunities – not least the infamous black run ‘La Face’, which offers daring skiers a formidable challenge. Its modern resort facilities make this a cutting-edge resort that is extremely well connected, both to neighbouring resorts and to the rest of the world. In fact, Val d’Isere’s incredible WIFI access can even be accessed on the new Solaise Gondola. Val Thorens is a mecca for luxury-loving skiers since it’s the highest ski resort in Europe at 2,300m and also the most snow sure. It forms part of the Trois Vallées with over 600 km of piste and the largest linked ski area in the world. Unsurprisingly, the snow conditions are excellent for every ability and the resort offers late skiing due to its location among six glaciers. It might not be the most attractive resort when compared to charming villages like Megeve but it has an abundance of luxury accommodation. Val Thorens has dramatically improved its image over recent years and now boasts a range of five star hotels and restaurants. It attracts a discerning crowd of well-travelled guests and serious skiers with a taste for the finer things in life. 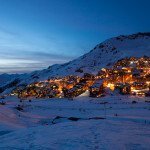 This has ensured Val Thorens has received distinguished awards from the World Ski Awards such as the ‘World’s Best Ski Resort’ and ‘France’s Best Ski Resort’. 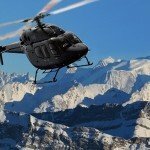 If you’d like a helicopter transfer to any of these luxurious ski resorts in the French Alps, please contact our friendly team.